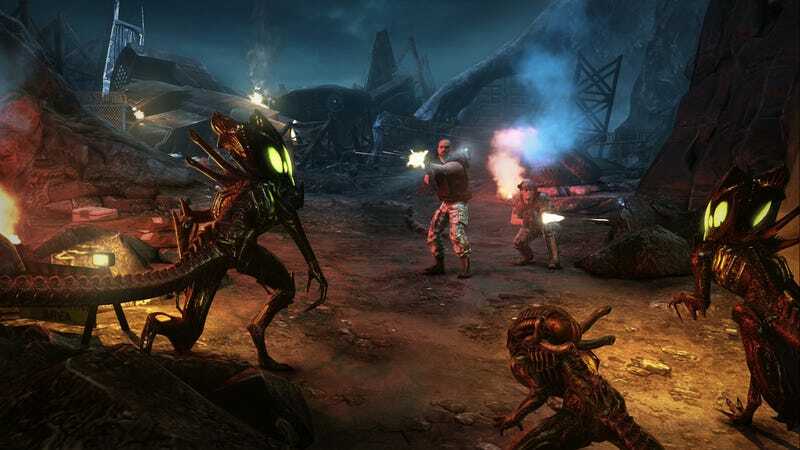 TimeGate, best known for developing Section 8 and Aliens: Colonial Marines, may be no more. Kotaku has learned from two sources that the troubled studio laid off its staff today. Everyone was sent home early, according to one source. TimeGate had been facing financial issues for quite some time now. The company filed for bankruptcy last week, but the publisher SouthPeak Interactive, questioning the legitimacy of TimeGate's filing, was looking to convert their Chapter 11 to a Chapter 7 liquidation, which would mean a studio closure. According to one source, SouthPeak won in arbitration, and the studio is no more. When we called TimeGate, we spoke to a receptionist, who would not comment and instead transferred us to a voicemail box.